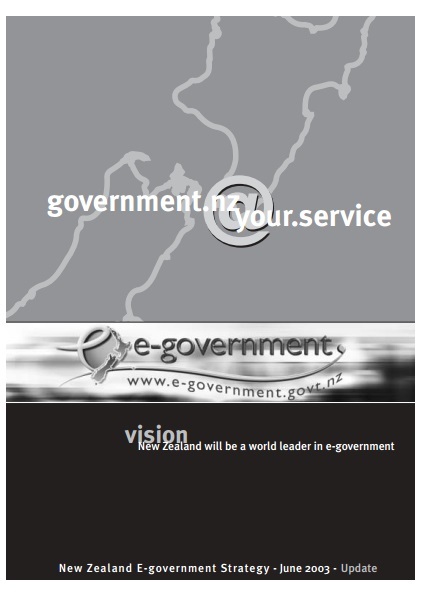 The eGovernment Strategy 2003 envisaged a networked approach where agencies acted more coherently. The first step in government transformation was based on familiar sound sounding goals: “Successful government will become synonymous with processes and services integrated across the traditional boundaries between government agencies rather than ones confined to compartments. It will mean people being able to participate more readily across a spectrum of public sector activity and processes” said the eGovernment strategy summary written by Hugh McPhail, EGU Policy Manager. With the portal launched and the strategy published, Brendan Boyle moved to the role of Chief Executive at Land Information New Zealand in October, and Bethia Gibson took the position of Acting Director of EGU. 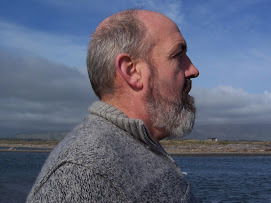 Laurence Millar returned from working overseas and was appointed as the next EGU Director in early 2004. 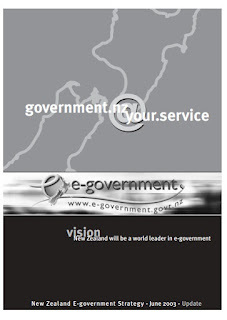 The eGovernment Advisory Board was strengthened, with six public service chief executives, Mark Prebble (SSC), Christopher Blake (DIA), James Buwalda (Labour), Brian Pink (Statistics NZ), Bryan Taylor (Auckland City Council), and Geoff Dangerfield (Economic Development), and Kerry McDonald as an independent advisor. 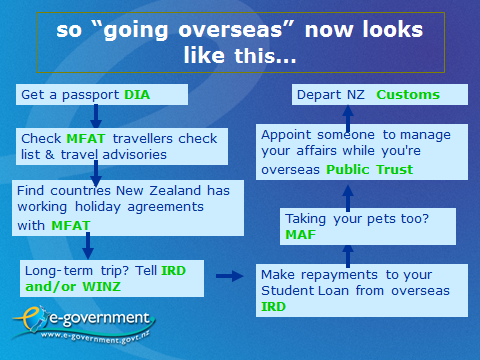 In his first presentation to agency chief executives, Laurence Millar highlighted the importance of the portal. “SSC has received a large number of suggestions on how the portal should develop. The portal team has a future development path that includes the idea of no wrong door, sectoral portlets, information syndication and franchising”. Linked services were also a feature of his presentation. Other examples of linked services identified were: having a baby, starting a business, opening a café, student loans, hiring staff, finding and looking after a place to live, and a death in the family. 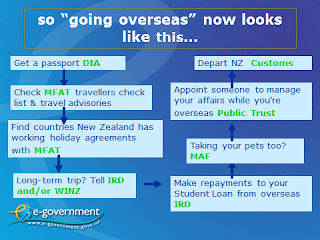 While these concepts were easy to create in PowerPoint, the reality of linked services across multiple government entities was to prove elusive. Successive iterations of the portal continued to struggle with this challenge, and after 20 years seamless interaction across multiple government agencies is still not implemented. 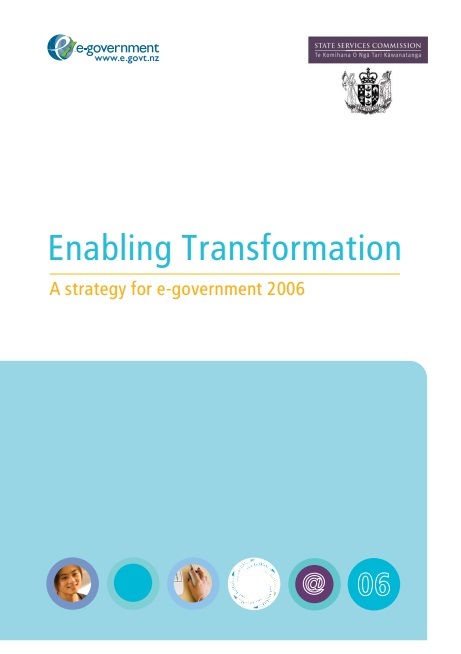 In May 2005, the Government launched the Digital Strategy, a national strategy encompassing Connection, Capability and Content, which had been developed with input from government agencies, private sector and community representatives, under the leadership of the Minister of IT, David Cunliffe. 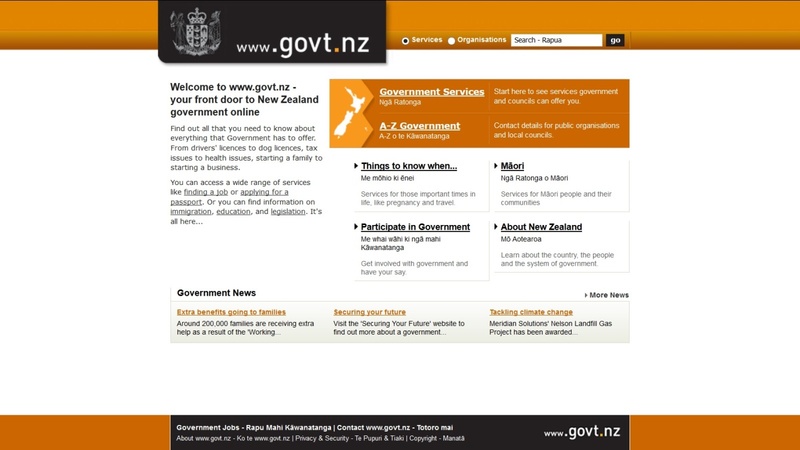 The Digital Strategy provided a wider context for eGovernment and a new look was launched for the government portal, under the direction of Jason Ryan, EGU Communications Manager. 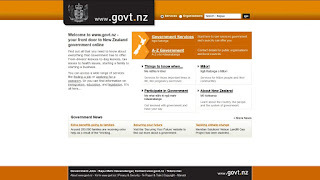 The portal operational team, with leadership from Sara Barham and Victoria Wray, managed the daily operations of the portal, including quality assurance of metadata from government agencies, the RSS feed, metalogue, and NZGLS (New Zealand Government Locator Service). 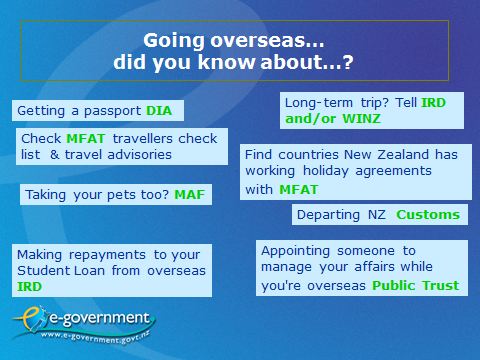 The portal email box contained a wide range of questions and feedback, which were forwarded to the relevant agency. The 2006 update of the eGovernment Strategy focused on the inevitability of technological change and the need for government to recognise and meet the challenges. Annette King, Minister of State Services said in her introduction. "individuals and businesses have become accustomed to doing their banking online, 24 hours a day and 7 days a week, so they expect to deal with government in a way that is convenient for them." The emphasis was now very much with the Internet as a channel for publishing information and delivering interactive services. 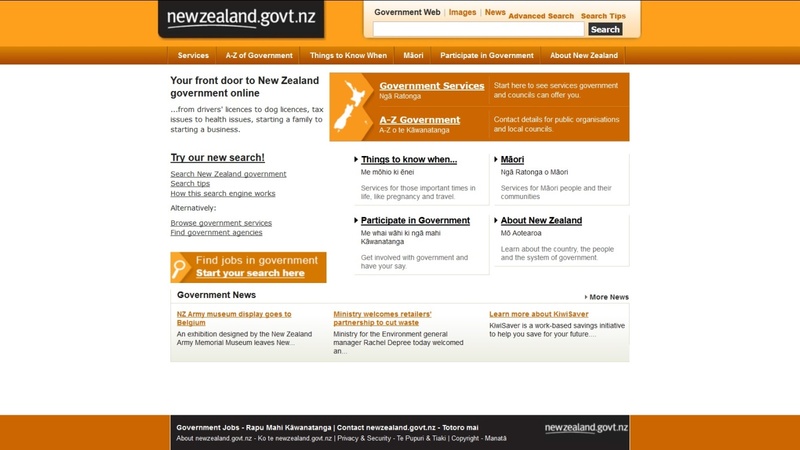 The eGovernment Unit published a White Paper on Web Site Search by Elyssa Timmer (SSC) and Bryan Lyall (NZTE). The research laid the foundation for the move to using a public index of government websites initially provided by Microsoft MSN and later by Google, from their daily crawling of websites. 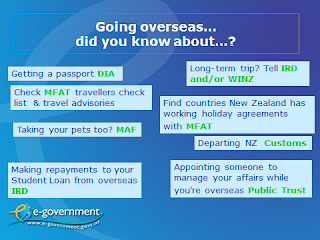 In 2007, a government-wide branding exercise resulted in the adoption of newzealand.govt.nz as the brand that would be used across all government media – print, television and internet. 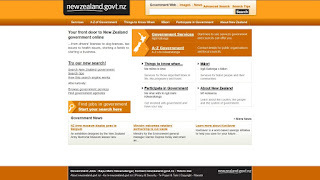 The website moved from www.govt.nz to www.newzealand.govt.nz in April 2007, to reflect this new brand, and the new syndicated search facility was introduced to the site two months later.